Great to meet up with all the forum members who were there. As the guys have said, great to put faces to names. Was nice to meet up and talk models and plenty of new models in the works because of it. Myself and Niall spent at least 30 minutes watching James set up his models to see what new treasures he was pulling out. I forgot to bring my good camera with me so dont have any proper pictures, just ones I have taken with the tablet. 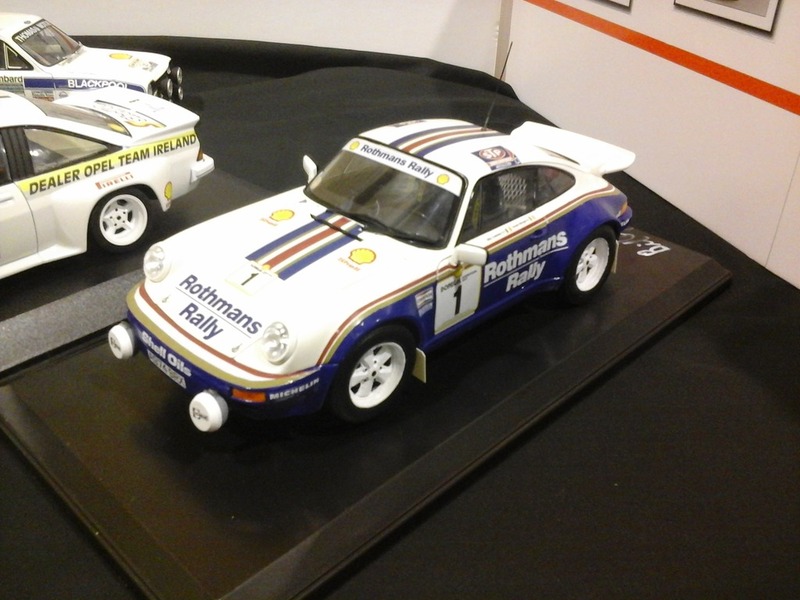 Highlights for me were Donies awesome chevettes, Sean's very impressive Coleman collection but particularly the 911. 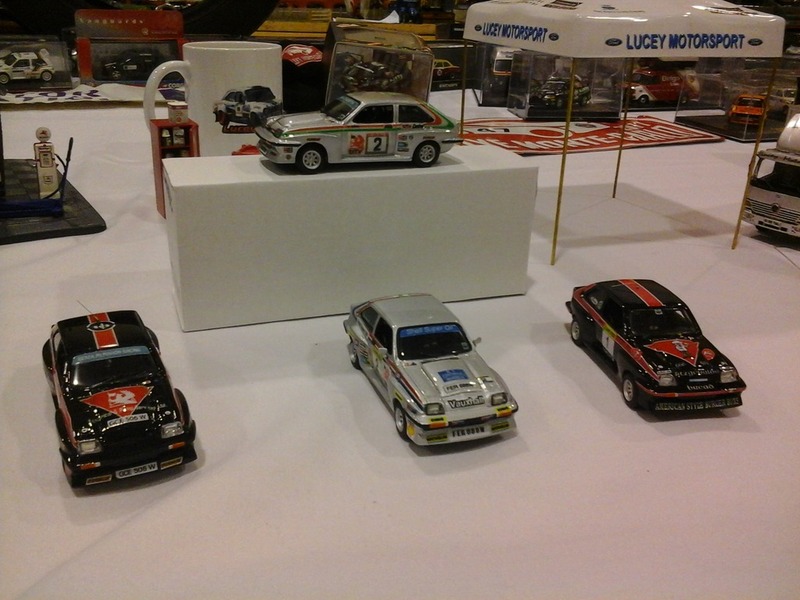 But the biggest highlight of the show was Piotr's 1/24 builds. The attention to detail, the craftmanship and the quality finish he has achieved are something any model builder should aspire too. Certainly has given me some inspiration to try produce some better models. Huge thanks to Donie and team for the bed for the night and for the fantastic event. Plenty of people flowing through all day to see the displays, great facility for the show and great welcoming from everyone. Already looking to see what I can have ready in the hope for another show next year. Some set up of models there. A 1:18 Fisher Subaru. It seems to have being a great day. mconboy wrote: Some set up of models there. A 1:18 Fisher Subaru. It seems to have being a great day. Yes there is, but like the Coleman M3, its not finished yet so I havnt posted up here. But is fine from a distance so I brought them along. If its like the rest of your builds it will be perfect Brian. The time and effort put in by Donie and his crew of helpers showed, on how well the displays were received. Great facility with easy access and loads of parking, as always Donie had it all thought out. Take a bow lads and well done, i really enjoyed the day! Thank you all for the good wishes with the Model Show prior to it and the congratulations on its sucess afterwards........yes thankfully it was a great sucess, or so i think.... but that was only due to the help i got from the DRM members...... Thank you to Brian who supplied a huge range of 1/18 scale models made and displayed to perfection, Ted who arrived with an amazing display of his self produced models as did Piotr with his 1/24 scales made with an amazing class and quality.....we are fortunate to have him near by and of course Sean Buckley with his prestigious collection of home built 1/18s from strip.... paint jobs..... to his research....decal manufacture......the finished product is out of this world.......only achieved by "LOVE and dedication " for model making....AS for James who travelled such a huge distance to be with us he had an array of very rare and some times once off treasures in 1/43,,,,,,,,,somebody on this forum said it was the biggest display of rally models ever seen in Ireland and i think they are right....as for Niall who did not display any models but he was our roaming critic and that was important too as he brought all the info from around the hall "Model Spy"
To anybody thinking of holding a model show i think we stumbled on to what is a brilliant effect ....that is having a display of photographs in the background just for show and highlighting the scene. Thankfully the dust have now settled and i got time to draw my breath looking back i would change very little and all the dealers on the day expressed a wish to come back next year if the show was to go ahead and i am glad to say the Millstreet Vintage Club had its monthly meeting last night where i reported a profit of 1094 Euro and i got the green light with running the event again in 2016 so work will start in early January for this show. SO now you have almost a full years notice that your help is required !!!!!!! 2016 will be bigger and better so start thinking what you will have for "The Show"
Well done to Donie and his band of helpers. But the thanks also extends to the Lucey family who provided tea, coffee sandwiches biscuit cakes on Saturday night as well as all day Sunday. I had a horrible sore throat so the hot tea was most welcome. As Donie said people love looking at photos - i firmly believe it is the reason facebook has become so successful. Excellent news that the financials backed up the huge success of the show. Its a fantastic location and resource to have access to so shows like this have a home. Even better news that it will return for another show next year. I now have a deadline to hit for the remainder of my GXI collection. New Year Greetings fellow members, hope 2016 will be a model year for all and of all scales!!!!!!! Got it """""""""""""""""Sunday October 30""""""""""""""""
Any news on a date yet, Donie? Does anyone have pictures from the 2015 show? I'd love to see the displays. Drooling over the models now. Loving it. Ted Creedon wrote: Any news on a date yet, Donie? ........Brian........please bring as many models as you possibly can......1/18, 1/43, 1/24, 1/32 or 2 legged.................let me worry about the space..........Donie..........ps I have just booked the same accomodation for you!!!!!! Cess wrote: Does anyone have pictures from the 2015 show? I'd love to see the displays. 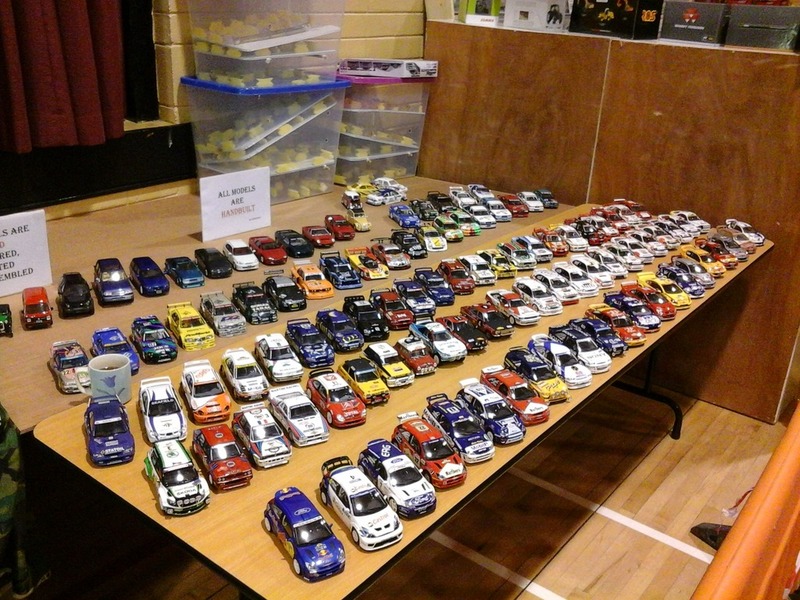 Hello Hello......i think we had a meeting at the West Cork Rally a few years ago....a visit to the 2016 Model/toy show is a must for you next October 30!!!!!! We did Donie and it's a wonderful part of the world. West Cork is booked again and would really like to make it to this. Looks a great event. Thanks Donie. Will be a great weekend again. This is fast becoming another forum meet up. Congrats to Donie on a well written article and some nice photos of the show on this months issue of the Irish Vintage Scene. Roll on 30 October 2016.